We understand that you may have your bar services arranged by a caterer or a different company but you need a bar structure. 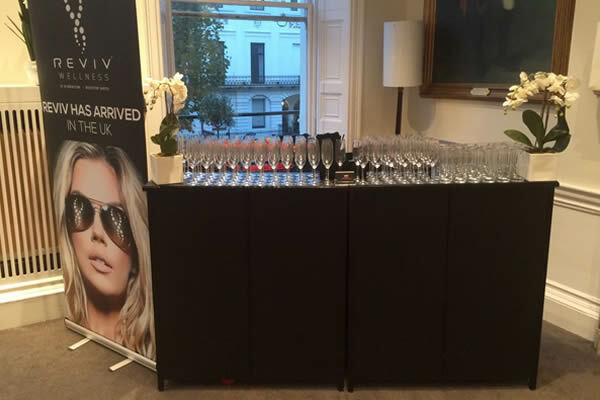 We can hire out all of our mobile bars on a dry hire basis. 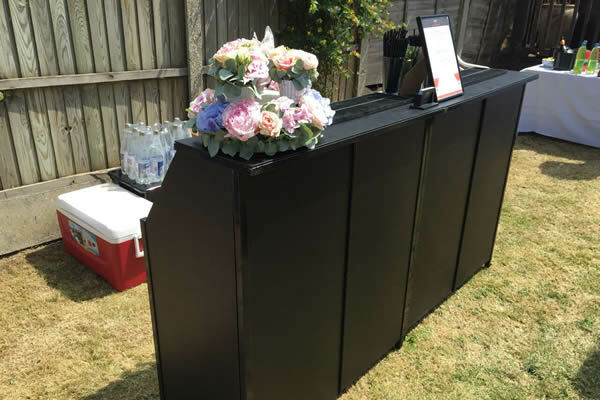 We deliver and set up the mobile bar for you to use and then collect it after the event. We have the following mobile bars available to hire. Hire periods are generally up to 3 days but can be extended if you wish. 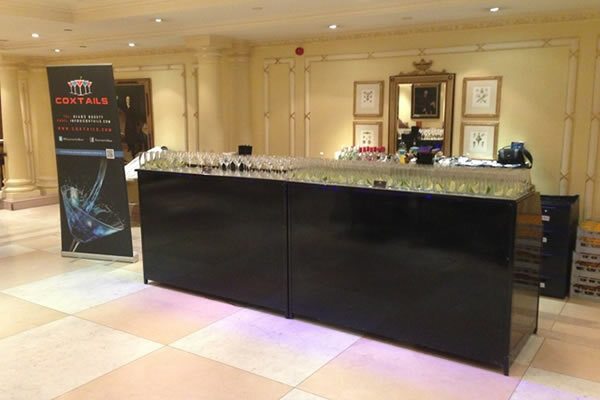 Our mobile black bars are the most popular bar to hire. They fit in with most event styles and look great. 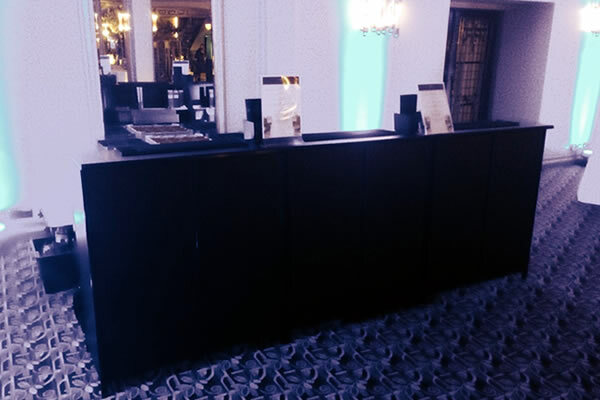 Our black bars can come in plain black or with LED down lighting which can be set to any specific colour you wish or colour changing. Our mobile black bars come in the following sizes: 1M, 1.5M, 2M, 3M, 4M, 4.5M, 5M, 6M. 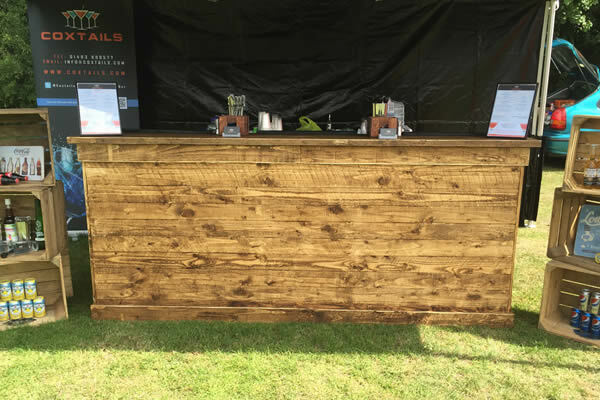 All of our black bars come complete with speed rails for bottles, ice wells, bar top runners and napkin & straw holders to complete the look. 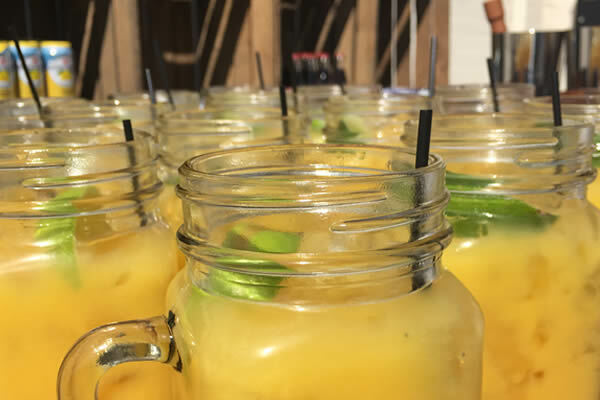 We usually suggest 1M per bartender which can cater for up to 40 guests. An example would be a wedding of 120 guests, we would suggest a 3M bar with 3 bartenders. 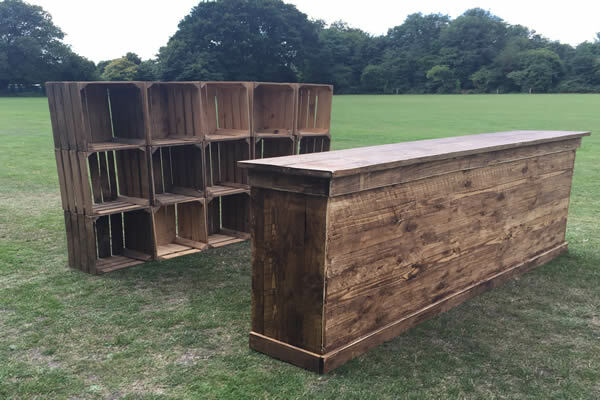 Our mobile vintage wooden bar is the perfect bar structure to hire for any type of event. 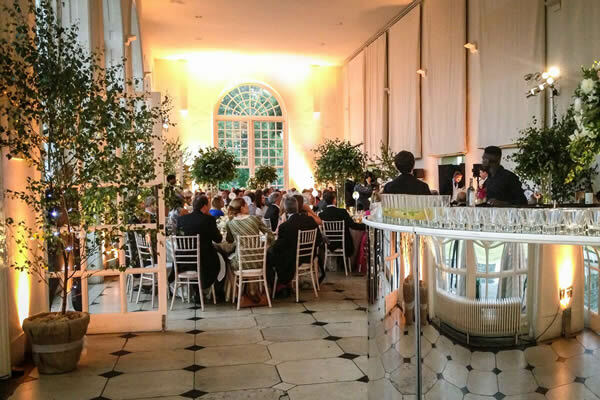 From vintage wedding’s to private parties and corporate events. 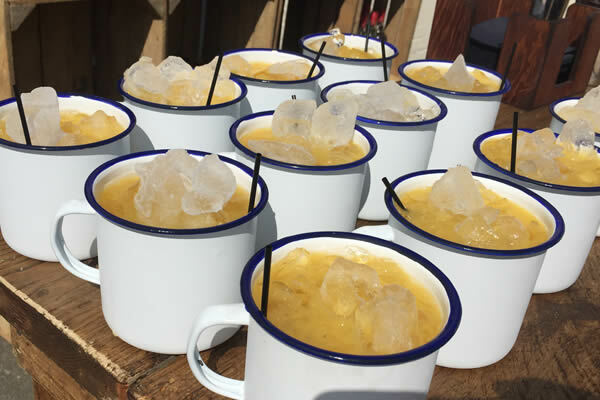 The bar can come on its own or you can hire it with an apple crate back bar and vintage style jar glasses to complete the vintage theme. 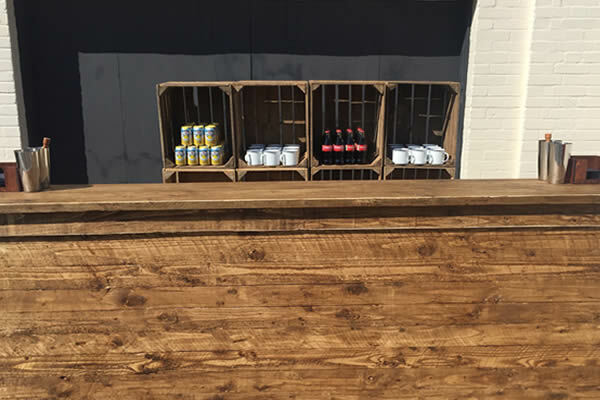 Our vintage wooden bar is 2.5M in length with a middle shelf complete with 2 x ice wells for the convenience of the bar staff. 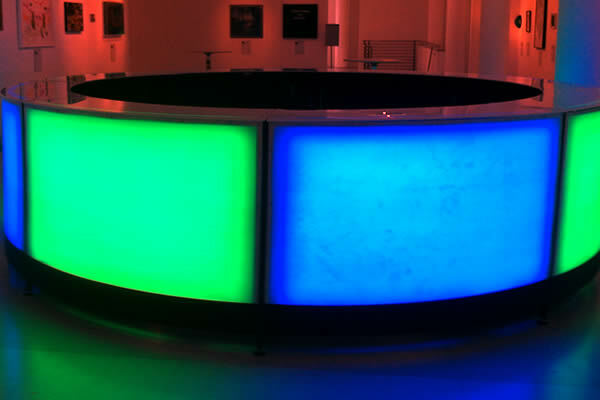 Our LED curved mobile bars can be hired in sections. The most popular options are a full semi circle and a full circle depending on your requirements. If you want the wow factor, the full circle looks great. The LED lights can be preset to a colour of your choice or can be on a colour-changing program. 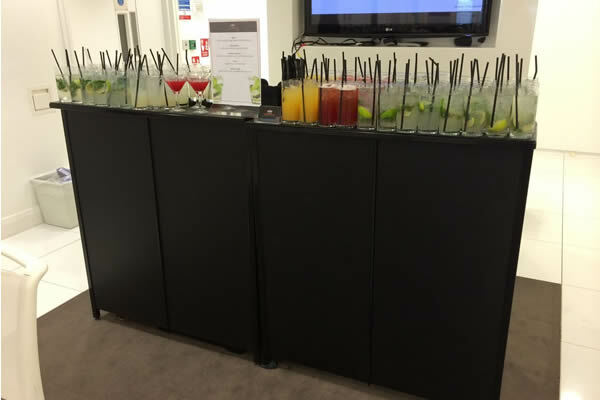 Our mirrored mobile bars can be hired in various sections. The most popular being semi circle or full circle bars. These are very popular for high end events and weddings where you want to give the guests a touch of class.